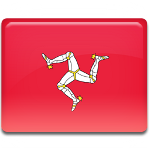 The national day of the Isle of Man is Tynwald Day. It is typically observed on July 5, but when this day falls on a weekend, it is moved to the following Monday. Tynwald is the legislature of the Isle of Man. Tynwald is considered to be the oldest continuous parliamentary body in the world. It was supposedly established in 979, but there is now written evidence of it. Nevertheless, in 1979 the millennium of the Manx parliament was celebrated. Tynwald consists of two chambers: the House of Keys and the Legislative Council. The House of Keys is the lower chamber that originates most legislation, it is elected directly. The Legislative Council is the upper chamber, it is chose indirectly. On July 5, the two Houses of Tynwald sit jointly in the village of St John's for ceremonial purposes. Otherwise, the House of Keys and the Legislative Council sit separately. Before Tynwald sits, two solemn processions and a wreath-laying ceremony take place at the National War Memorial. The main ceremonies of the day are held on Tynwald Hill. Tynwald Day is also marked with a market and fair, concerts and a fireworks display. The fireworks display is usually preceded by performance of the National Anthem of the Isle of Man.